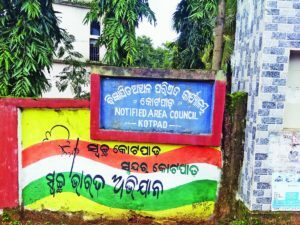 In a recent development, Notified Area Council (NAC) in the district of Kotpad in Odisha, that had contributed 1,043 individual household toilets now declares itself an open defecation free under the Swachh Bharat Mission. “The biggest achievement for NAC is working in a mission mode. Besides contributing 1,043 individual household toilets, we have constructed 53 community toilets and 12 public toilets at several places in the town,” said Kotpad NAC executive officer Alok Ranjan Samantoray. The hindrances which the officers and his team faced while motivating people not to defecate in open around four months ago were reported. “Our next project is providing a facility for safe drinking water connection to all households of NAC. The work for it is in progress,” averred Koraput collector K Sudarshan Chakravarthy.